If you don’t recognize the person in the above picture, where have you been? 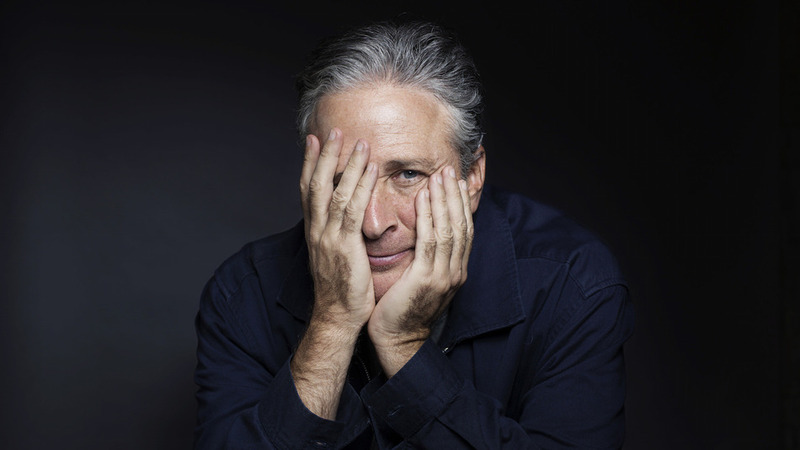 Yesterday morning I had an odd, but emotional dream about Jon Stewart. It seems weird to have a powerful dream about someone I haven’t met, but Jon has had a powerful effect on our world. Perhaps his most notable contribution was his appearance on CNN, taking down the T.V. show Crossfire. CNN didn’t learn from that experience, as they brought the show back, which thankfully was short-lived. Honestly, I get the excitement in pitting liberals against conservatives, but what does that really add to our culture? Jon believed it added nothing, and I tend to agree. I started watching The Daily Show in the early 2000’s when I first discovered Comedy Central. Certainly it has become one of my favorite T.V. networks, and that is largely thanks to Jon. He may not have been the first host of The Daily Show, but he was the first I knew about. His satire is a special kind. My favorite thing Jon did were his impressions. Especially Senator Lindsey Graham and Majority Leader Mitch McConnell. Jon probably wouldn’t say his impressions are the best, but I really enjoyed them. Liberals, I think, often claim Jon as their own. I’d say he’s on our side most of the time, but of course he isn’t afraid to show the hypocrisy of liberal and conservatives politicians. I remember the coverage of Anthony Weiner. 😉 Yet Jon would probably want to been seen as an independent. He has his causes, like pointing out the failures of congress to pass a bill that would help our military veterans and calling out the V.A.’s lackluster support of said veterans. It was the Rally to Restore Sanity and or Fear that got liberals complaining the most. Many thought that Jon should have encouraged his attendees to vote or support political change. I don’t think that was what the rally was about. The main point of the rally was that the citizens of our country manage to get along and work together regardless of our politics. Currently, and at the time, it feels like congress cannot get along. Jon wanted to do what he did to the Crossfire T.V. program: Give a wake-up call. I was able to attend the Rally. It was the first time I traveled by myself or even visited the East Coast. The first time I took a taxi or saw the Washington Mall. I was lucky to arrive on time and still be able to get close enough to the last row of speakers so I could hear what was happening on the stage. The crowd was larger than one might expect. I wonder if Jon knows how important he has been to American society. I suspect that he would make a joke of it. Always the humble man. The dream I had took place in a strange holy place. Kind of felt like a cross between a church and a university. Haha, for an atheist, I’m not used to having such a spiritual dream. Perhaps that is what Jon has done for me, brought out my spiritual side. It seldom get’s a chance to come out. I sat with Jon and two other ladies, whom I did not know. Jon was playing a guitar. The melody he was playing was beautiful. We all talked, and I noticed a tear stream down my face, it was a very sad occasion. It was time to part ways, and after being blessed by a holy guy with rice or confetti (not really sure which), Jon and the others drifted off into the dreams-cape, leaving me alone. Waking up, I found the dream really strange at first, but now as I think about it, it seems fitting. A great way to say goodbye without lingering. I’ve been watching The Daily Show for about 15 years now. I’ll keep watching it when Jon is gone, but it sure will not be the same.